A complete outcross to our entire flock! He sires beautiful, growthy offspring. 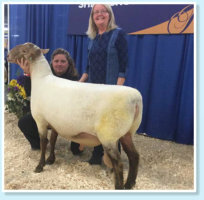 His first offspring at the 2014 Royal Winter Fair gave us First prize Ewe Lamb and Second Prize Ram Lamb in the All Other Breed class. 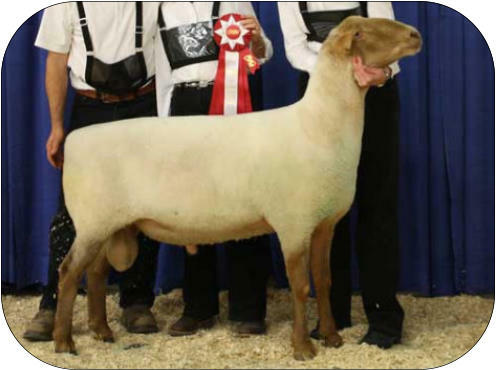 In 2015 he sired First and Second Yearling ewes and Reserve Champion Ewe. 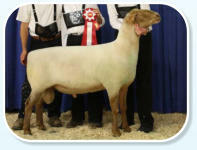 Ewes sired by Prince bred to Supersire have given us these prize winners - A Golden Cross. 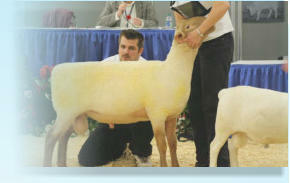 In 2016 he sired the First Prize ram lamb at the RAWF and Second Prize Get of Sire and Progeny of Dam. Winter Fair in 2014. There will be offspring from Bruno available in 2016. We invite you to come see these lambs. 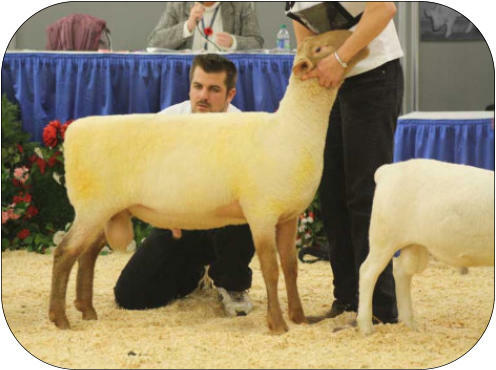 First prize yearling ram at the 2016 Royal. 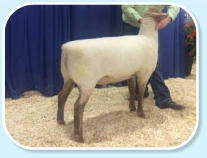 Titus was our fastest growing lamb at 100 days so he earned a spot breeding ewes as a young ram. 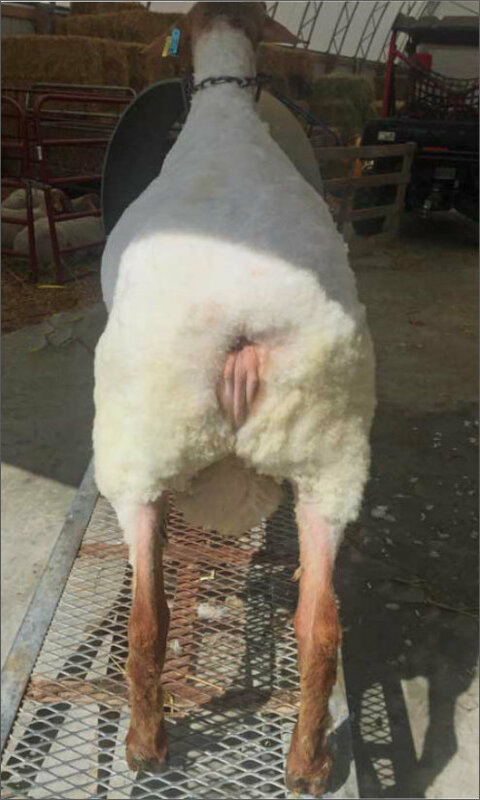 He throws his fast growth rate on his lamb. As an added bonus they have a noticible quietness of temperament. His dam had 10 lambs in 4 lambings. She has a beautiful udder and an abundance of milk. Her lambs are always top quality. Titus was the lead sire of lambs to be born in 2017! Commander has outcross bloodlines. He throws medium sized, thick, long and well muscled offspring. 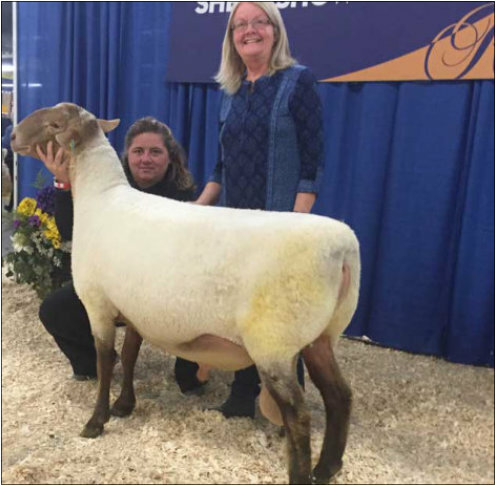 He sired the First Prize Ewe Lamb at the 2016 Royal Winter Fair. Thick, full hind quarters are his patent stamp. We already have two of his sons selected to breed ewes in the spring of 2017. This is an emerging bloodline we will build on. Dynamo is a Mr T Grandson. (Mr T is our second highest loin eye scan ram). 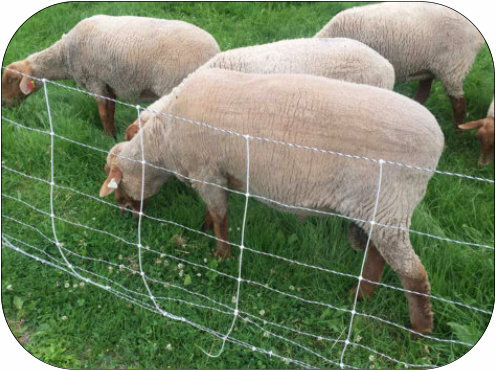 Dynamo’s dam is a triplet ewe from a triplet sire and dam. She has lambed with triplets and is currently pregnancy checked with triplets - two consecutive years! 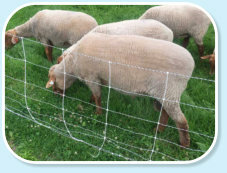 Her triplet ewe lambs were second Progeny of Dam at the 2016 Royal Winter Fair. 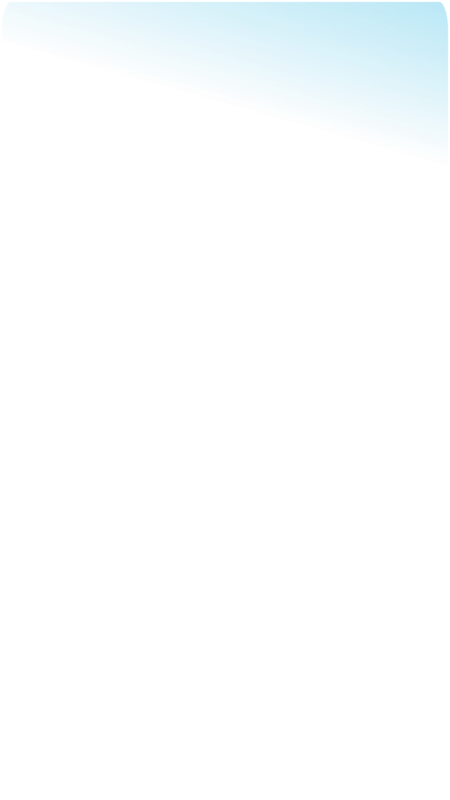 Dynamo comes from another emerging outcross line we are excited to grow.